Robert Reich: Step back from the campaign fray for just a moment and consider the enormity of what's already occurred. A 74-year-old Jew from Vermont who describes himself as a democratic socialist, who wasn't even a Democrat until recently, has come within a whisker of beating Hillary Clinton in the Iowa caucus, routed her in the New Hampshire primary, and garnered over 47 percent of the caucus-goers in Nevada, of all places. And a 69-year-old billionaire who has never held elective office or had anything to do with the Republican Party has taken a commanding lead in the Republican primaries. Something very big has happened, and it's not due to Bernie Sanders' magnetism or Donald Trump's likeability. It's a rebellion against the establishment. The question is why the establishment has been so slow to see this. A year ago -- which now seems like an eternity -- it proclaimed Hillary Clinton and Jeb Bush shoe-ins. Both had all the advantages -- deep bases of funders, well-established networks of political insiders, experienced political advisors, all the name recognition you could want. But even now that Bush is out and Hillary is still leading but vulnerable, the establishment still doesn't see what's occurred. They explain everything by pointing to weaknesses: Bush, they now say, "never connected" and Hillary "has a trust problem." A respected political insider recently told me most Americans are largely content. "The economy is in good shape," he said. "Most Americans are better off than they've been in years. The problem has been the major candidates themselves." Economic indicators may be up but they don't reflect the economic insecurity most Americans still feel, nor the seeming arbitrariness and unfairness they experience. Nor do the major indicators show the linkages Americans see between wealth and power, crony capitalism, declining real wages, soaring CEO pay, and a billionaire class that's turning our democracy into an oligarchy. Median family income is lower now than it was sixteen years ago, adjusted for inflation. Most economic gains, meanwhile, have gone to top. These gains have translated into political power to rig the system with bank bailouts, corporate subsidies, special tax loopholes, trade deals, and increasing market power -- all of which have further pushed down wages and pulled up profits. Those at the very top of the top have rigged the system even more thoroughly. Since 1995, the average income tax rate for the 400 top-earning Americans has plummeted from 30 percent to 18 percent. Wealth, power, and crony capitalism fit together. So far in the 2016 election, the richest 400 Americans have accounted for over a third of all campaign contributions. Americans know a takeover has occurred and they blame the establishment for it. There's no official definition of the "establishment" but it presumably includes all of the people and institutions that have wielded significant power over the American political economy, and are therefore deemed complicit. At its core are the major corporations, their top executives, and Washington lobbyists and trade associations; the biggest Wall Street banks, their top officers, traders, hedge-fund and private-equity managers, and their lackeys in Washington; the billionaires who invest directly in politics; and the political leaders of both parties, their political operatives, and fundraisers. Arrayed around this core are the deniers and apologists -- those who attribute what's happened to "neutral market forces," or say the system can't be changed, or who urge that any reform be small and incremental. Some Americans are rebelling against all this by supporting an authoritarian demagogue who wants to fortify America against foreigners as well as foreign-made goods. Others are rebelling by joining a so-called "political revolution." The establishment is having conniptions. They call Trump whacky and Sanders irresponsible. They charge that Trump's isolationism and Bernie's ambitious government programs will stymie economic growth. The establishment doesn't get that most Americans couldn't care less about economic growth because for years they've got few of its benefits, while suffering most of its burdens in the forms of lost jobs and lower wages. Most people are more concerned about economic security and a fair chance to make it. The establishment doesn't see what's happening because it has cut itself off from the lives of most Americans. It also doesn't wish to understand, because that would mean acknowledging its role in bringing all this on. Yet regardless of the political fates of Donald Trump and Bernie Sanders, the rebellion against the establishment will continue. Eventually, those with significant economic and political power in America will have to either commit to fundamental reform, or relinquish their power. 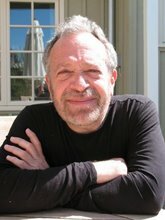 Robert Reich was the Secretary of Labor during the Clinton administration.